Most businesses are either thinking they need to “move” to the cloud or simply unsure of the options and how to do it. Don’t have your head in the Clouds – Have your data there! There are literally thousands of options to move your business applications and processes to the cloud and generally speaking a hybrid approach that is based on quality, price and ease of use for your employees and business is the best approach. We like to take the time to see what components are best suited to move into the cloud – weather it be to our private cloud offering (AllITCloud) or a public cloud solution such as Microsoft Azure or Amazons’ AWS. We believe that some businesses will greatly improve flexibility and improve costs by moving some or all applications to a cloud environment and for others a traditional ‘on premise’ server solution is still best due to certain applications and security requirements. 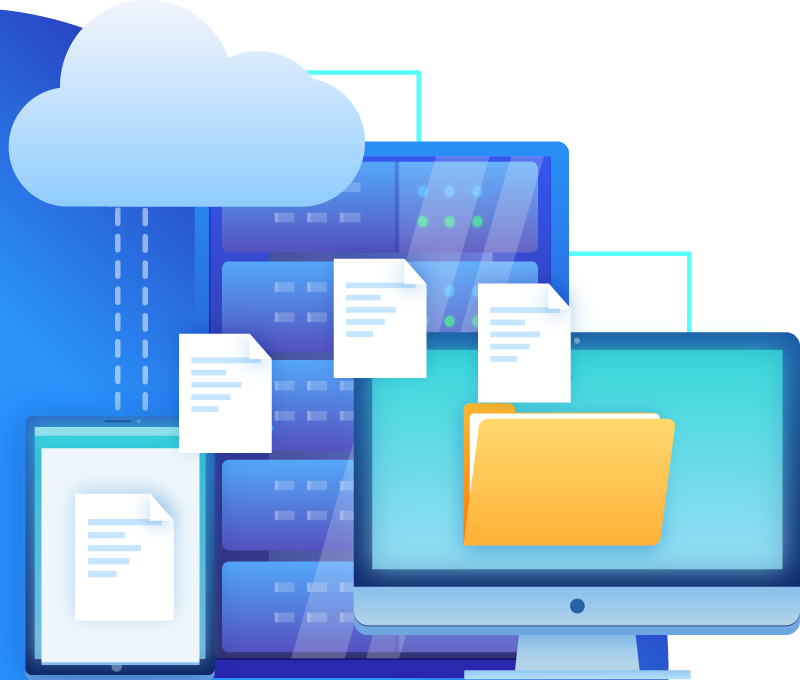 ALLITCloud is our private data cloud solution that allows your business to take advantage of having your files and services hosted in a secure data facility but with the benefits of added security and cost savings. Located in Sydney and Melbourne in our private Data Centres (DC) as well as in Global Switch in Sydney, our solution allows you to take full advantage of moving your current programs & files off-site; minimising capital expenditure and allowing you the flexibility to scale if and when required for a fixed monthly fee rather than a large single capex spend. We take care of all security and backups and ongoing maintenance. Moving to Office 365 for email and cloud file storage is often the first step for many businesses to a cloud-based solution. Microsoft’s offering is a robust and cost-effective solution for email and file collaboration. Every migration is different, and we recommend a thorough plan before migrating. Our migrations have included small businesses right through to large ASX 200 companies. We have been able to minimise downtime and allow users to stay connected to their email throughout the migration with little downtime to each user. We deliver these projects within an agreed time frame, at your convenience and with agreed fix pricing. All IT have completed a variety of medium to large migrations from on premise file servers to complex SharePoint & OneDrive strictures. These migrations require careful planning with the client to ensure file structures and particularly permissions are set correctly. File collaboration has become a key feature of online file storage like SharePoint and allows users to work on the same Microsoft documents at the same time all whilst keeping changes in the one file. A virtual desktop solution takes your traditional desktop interface and moves it to the Cloud. This means that you can work seamlessly from the home, office, or overseas with the same desktop experience as you are used to. All your personal data and software is securely available on-demand from almost any internet enabled device. ALL IT Services offers fully managed virtual desktop solutions that will reduce costs while increasing security and accessibility.